Technology throughout history has been used to gain an edge in markets. Long time horizons may be the edge one has with limited resources. Understanding a company's competitive advantages leans the probabilities for success under perpetual time frames. Many forms of quantitative investing exist. But from a broader perspective, a quant strategy is trying to find "signals" using historical data in order to recognize patterns that have the ability to outperform market indexes. Signals can also be defined as factors. Common factors are size, value, and momentum. Size focuses on market cap and the reason why some investor exclusively looks at small-cap companies. There is empirical evidence investing in small caps over a long period of time leads to enhanced returns. Value factoring has been around for a while. Benjamin Graham was the godfather of value investing. Purchasing shares of companies with low price to earnings or book value was the start of it all. These factors were of eminence value 70 years ago as information wasn't so easily available as it is today. Today, quants have to layer on many factors around value to find predictable signals for the future. The low P/E informational space is crowded. Momentum investing, in my view, is a short- to medium-term investing strategy. Investors hope to find signals through technical and trend analysis where they can get into a trade to ride the wave up. A lot of behavioral economics is involved here. Investors don't want to miss out on the next Amazon (NASDAQ:AMZN) or Google (NASDAQ:GOOG) (NASDAQ:GOOGL) and is part of the reason why momentum investing works. Finding the correct signals to gain an edge has been around for centuries. New technologies are always being used to help. 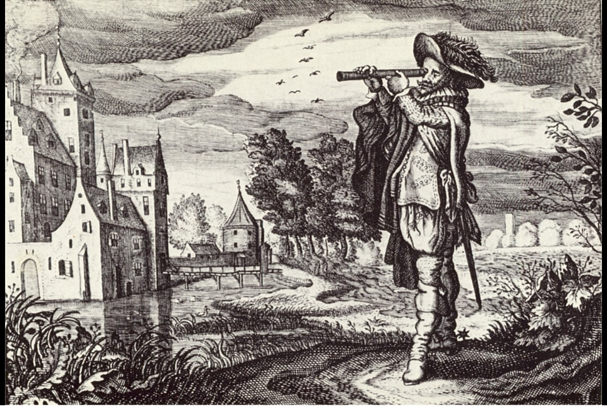 Dating back to the early 1600s, Dutch traders would use the invention of the telescope to their advantage. Timing is critical in trading. Traders during this time would observe ships approaching port carrying commodities and project commodity cargo size through how low the vessel was sitting in the water. Using the information gathered, buy and sell orders would be placed before the ship hit the docks. A more recent example is hedge funds using satellites for counting cars in parking lots or to view development projects within cities. All these methods are in the pursuit to find signals to gain an edge. With billions of dollars being poured into data analytics and new technologies, there are few edges one with limited resources can use. I'm always thinking about this. From a pure structural advantage, time horizon should be looked at. Hedge fund and mutual fund managers are under immense pressure to perform on a short-term basis. This dynamic can be taken advantage of. Where are the best places to look for signals with a long-term time horizon? Companies with competitive advantages are a good place to start. I call them moats, but they can be labeled anything. These signals would fall more along the lines of the qualitative spectrum. Qualitative factors are hidden treasures hiding from quants. Sourcing ideas should first start here. Next, determining asset value would be the next priority. Even if asset values are high, building a database of durable businesses allows tracking of such assets and can be used when markets irrationally price them. 1. 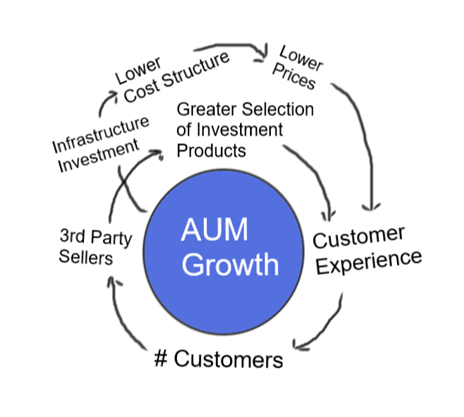 Feedback loop - Look for entities that require little capital allocation to grow. A feedback loop allows the existing users/clients to generate more business. A great example of this would be Charles Schwab (SCHW). As more client assets are gathered on the brokerage platform, more third-party financial service companies want to offer products on such. In return, brings in more assets. 2. The business can be conceptualized as a toll road. Owning a heavy used toll road would be an amazing business to own, so why not find one in the public markets, it just might not be an actual toll road. Facebook (FB) and Alphabet would be great examples of this. Facebook is a digital social toll road as for any person wanting to be in touch with friends and family would need to be on one of Facebook's properties. Every time users are on Facebook's social networks, they are generating ad sales. Alphabet is an informational toll road. 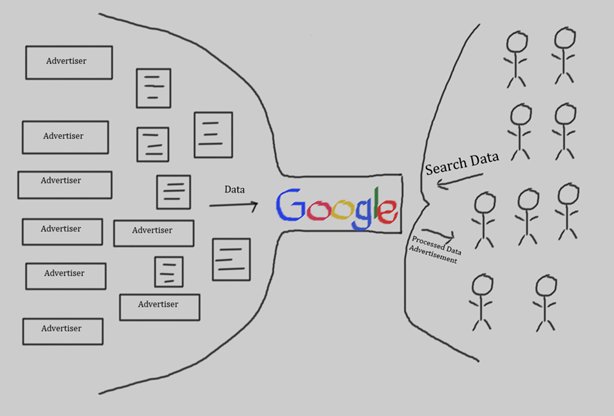 If one wants to know something, they use Google to search for information they seek. Find the fast-growing toll roads that still have a long runway ahead of them. 3. The moat creates significant barriers to entry that allows prospective investments to dominate the respective industry. Look for network effects or economies of scale as a starting point. Barriers to entry can be within a small geographic footprint, national, or multi-national market. Large-cap companies aren't always the ones with durable businesses. Investors might not think searching for durable businesses with massive moats is a form of quant investing, but, in actuality, it is. Moat signals have a chance at hiding from supercomputers, making them a high priority in the research process. Understanding a company's competitive advantages leans the probabilities for success under perpetual time frames. We only focus on best in class companies that offer durable and superior business models. Subscribers get access to our watch-list, model portfolio, and in-depth research. Take action now and join us before we hike our membership rate back this Friday! We have a few Discounted Spots left!. Disclosure: I am/we are long FB, GOOG. I wrote this article myself, and it expresses my own opinions. I am not receiving compensation for it (other than from Seeking Alpha). I have no business relationship with any company whose stock is mentioned in this article. Additional disclosure: The information contained on this article is not and should not be construed as investment advice, and does not purport to be and does not express any opinion as to the price at which the securities of any company may trade at any time. The information and opinions provided herein should not be taken as specific advice on the merits of any investment decision. Investors should make their own decisions regarding the prospects of any company discussed herein based on such investors’ own review of publicly available information and should not rely on the information contained herein. The information contained in this article has been prepared based on publicly available information and proprietary research. The author does not guarantee the accuracy or completeness of the information provided in this document. All statements and expressions herein are the sole opinion of the author and are subject to change without notice. Any projections, market outlooks or estimates herein are forward-looking statements and are based upon certain assumptions and should not be construed to be indicative of the actual events that will occur. Other events that were not taken into account may occur and may significantly affect the returns or performance of the securities discussed herein. Except where otherwise indicated, the information provided herein is based on matters as they exist as of the date of preparation and not as of any future date, and the author undertakes no obligation to correct, update or revise the information in this document or to otherwise provide any additional materials. The author, the author’s affiliates, and clients of the author’s affiliates may currently have long or short positions in the securities of certain of the companies mentioned herein or may have such a position in the future (and therefore may profit from fluctuations in the trading price of the securities). To the extent such persons do have such positions, there is no guarantee that such persons will maintain such positions. Neither the author nor any of its affiliates accept any liability whatsoever for any direct or consequential loss howsoever arising, directly or indirectly, from any use of the information contained herein. In addition, nothing presented herein shall constitute an offer to sell or the solicitation of any offer to buy any security.